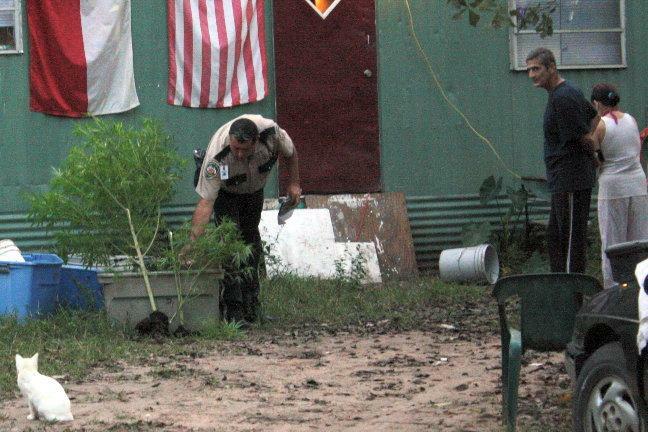 Couple Busted For Front Yard Marijuana Plants, LIVINGSTON, October 17, 2009 - Shortly before 8 a.m. on October 16, 2009, intelligence led Polk County Sheriff's Deputy Mike Nettles to a casual marijuana grow located about 8 miles south of Livingston on US-146 South. 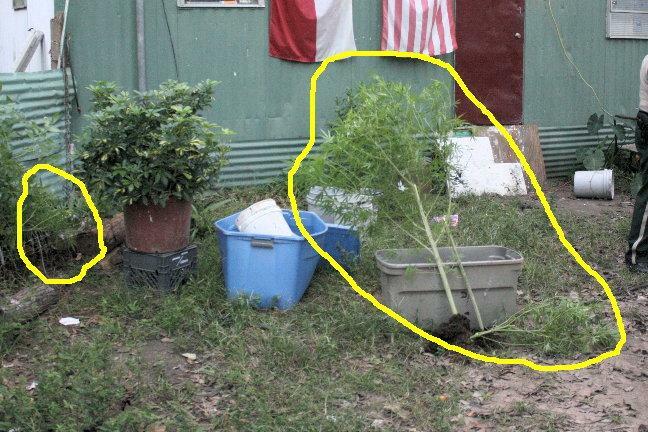 Nettles found the pot growing in the front yard and subsequently arrested Michael William Thompkins, 55, of Livingston and Chatta Rose Orlando, 44, of Livingston. One of the plants was nearly 5 feet tall. 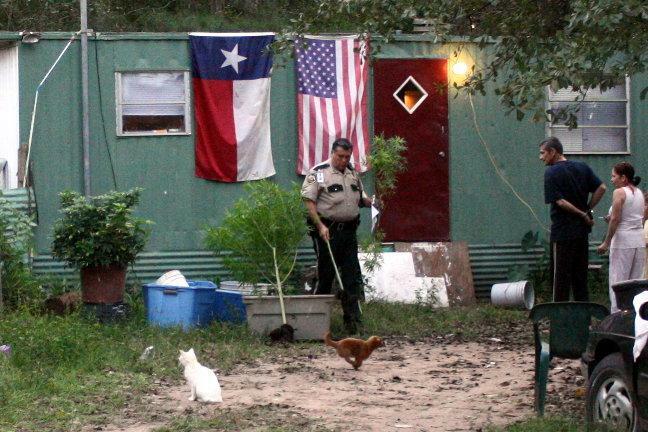 Additionally, Nettles found a small amount of methamphetamine on their premises. Both were arrested and booked into Polk County Jail and charged with possession of marijuana and possession of a controlled substance. The sadder part of this story is that the couple was raising a small child in the squalor conditions in a culture of drugs. The child is now in care of Child Protective Services. 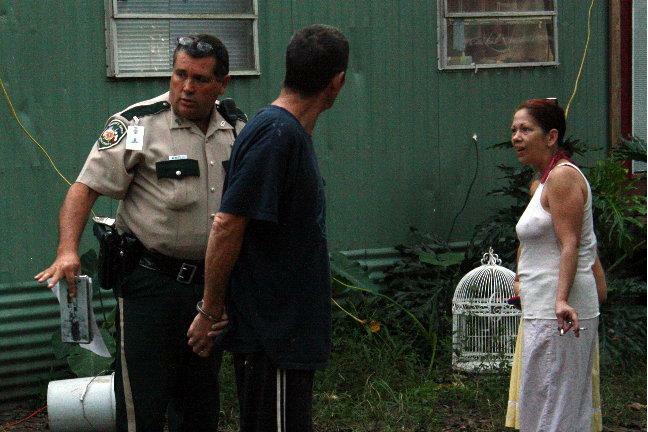 Incredulous: Chatta Orlanda has a look of disbelief as Deputy Mike Nettles exposes the error of their ways. Michael Thompkins and Orlando Chatta can only watch as Nettles uproots their brazen, illegal plants.